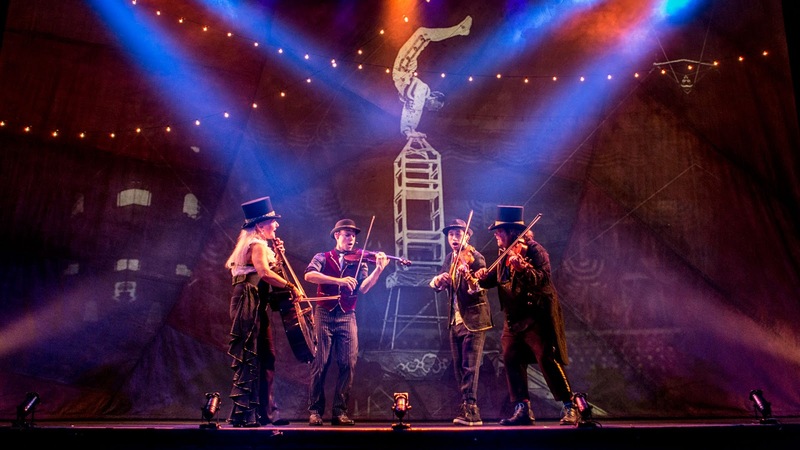 Adventurous string quartet ETHEL pays tribute to the legends behind the Circus, featuring archival imagery and firsthand accounts from contemporary circus performers. Context is everything, so we’ve provided a curated selection of articles and videos for you to engage with before seeing the piece. After you’ve attended the show, let us know what you thought by posting in the comments below and on social media using #BAMNextWave. Described as "an adventurous quartet with a rock band's zest" by The New York Times and deemed "a genre unto itself" by the Village Voice, ETHEL continues to set the standard for contemporary concert music. Peek backstage, fly on the trapeze, and meet the show’s ringmaster of 18 years as he reflects on what he’ll miss most — all in 360° video. A series of portraits of performers before taking part in the last weekend of the Ringling Bros. and Barnum & Bailey circus at Nassau Coliseum in Uniondale, New York, on May 19, 2017. How did you enjoy the show? Likes? Dislikes? Surprises? Tell us what’s on your mind in the comments below and on social media using #BAMNextWave. Truly inspiring to see what a quartet can do! Imaginative, beautiful music. Terrific melding of extraordinary, original music, virtuoso performance, charming, funny, and poignant storytelling, delightful stagecraft, gorgeous lighting, all parts soaring to rambunctious—ETHEL rules!